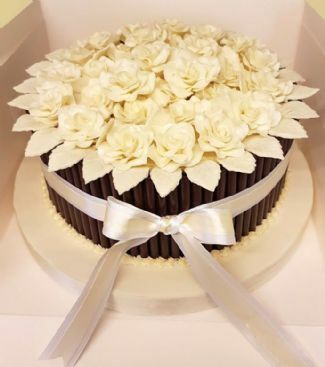 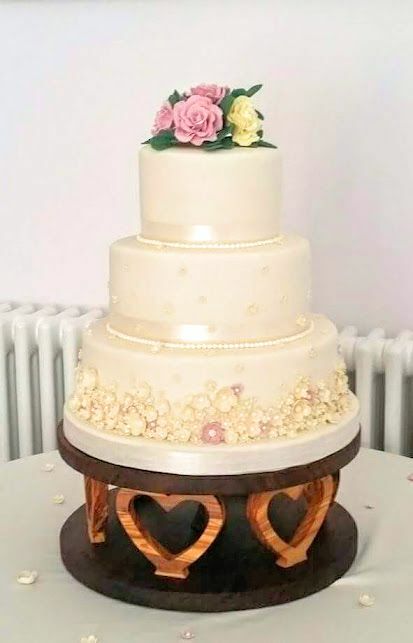 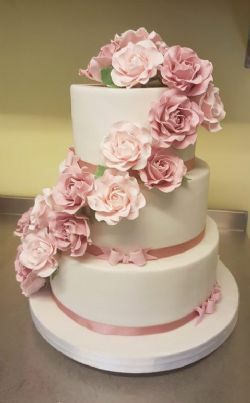 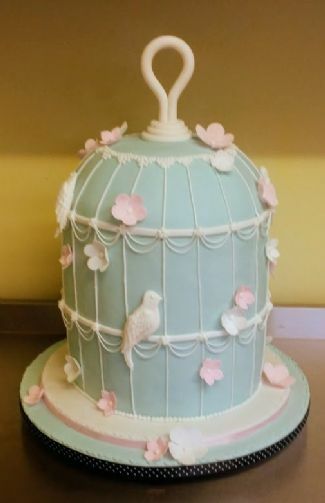 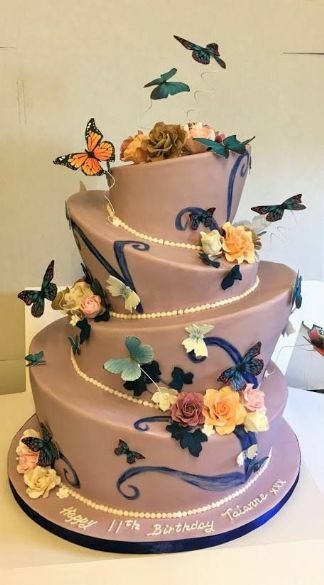 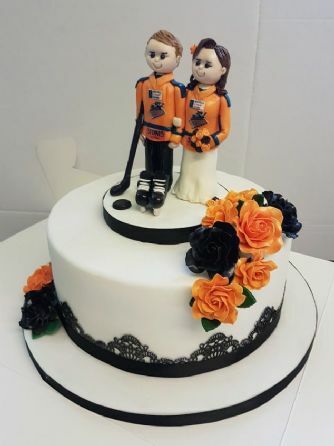 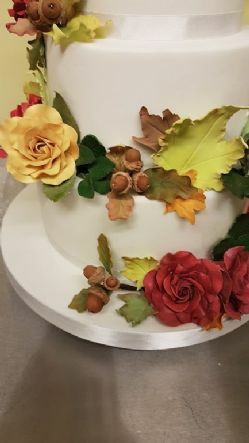 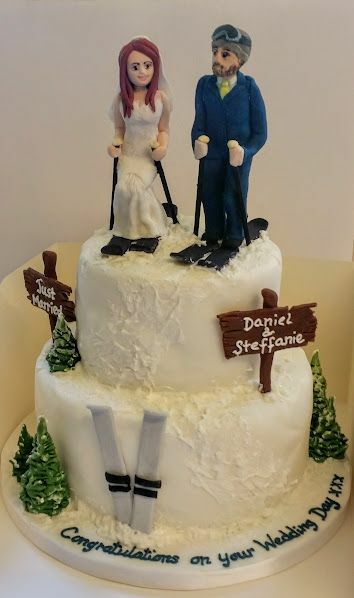 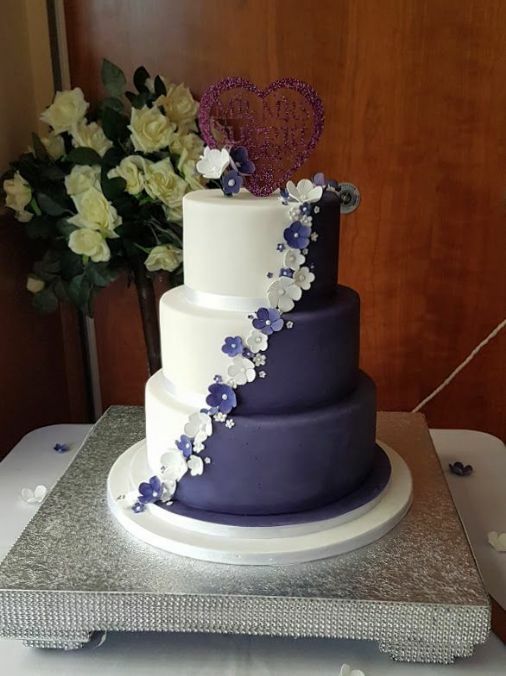 We design and create your cake to be a very special part of your day. 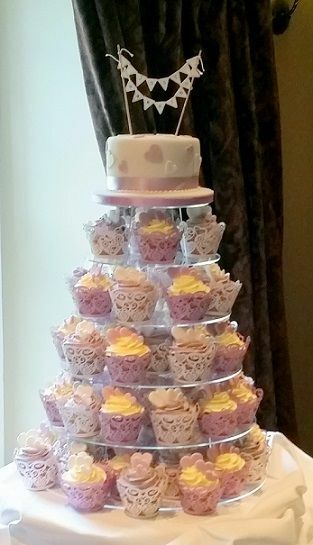 From novelty designs to more traditional styles and cupcake towers, all in your favourite flavours. 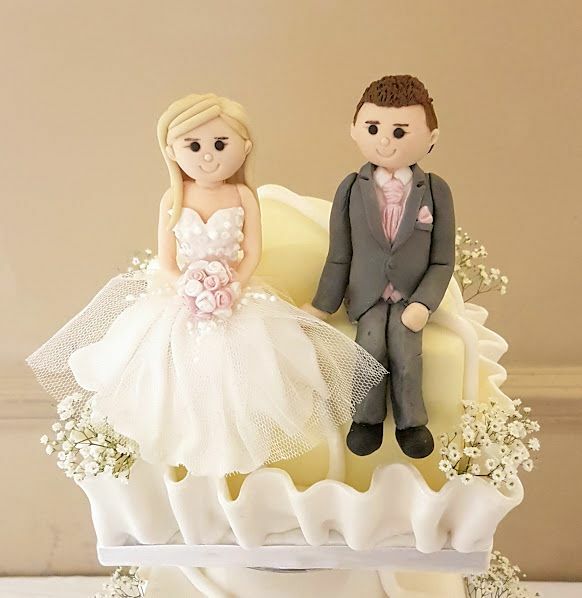 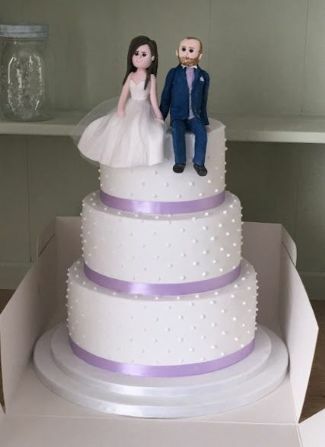 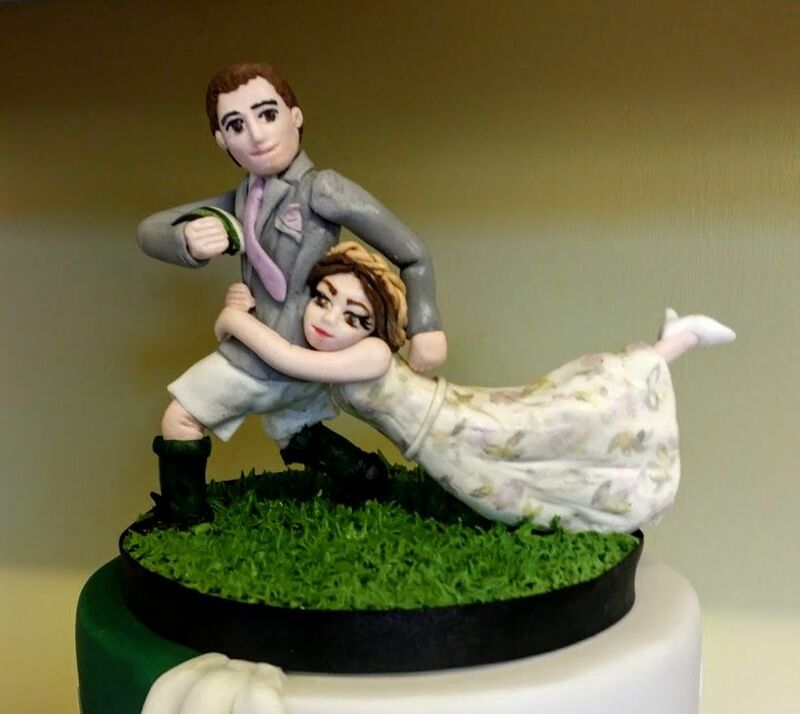 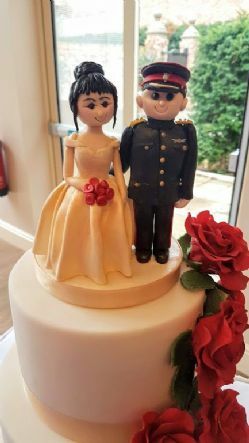 We also make Bride and Groom toppers to match the happy couple. 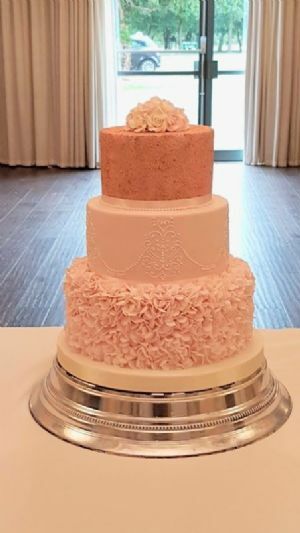 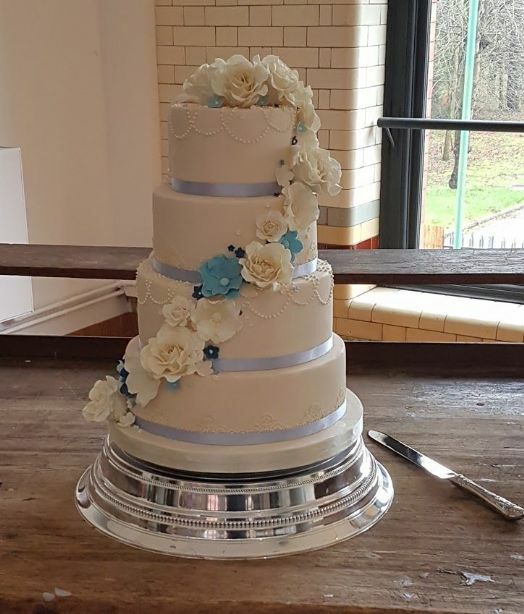 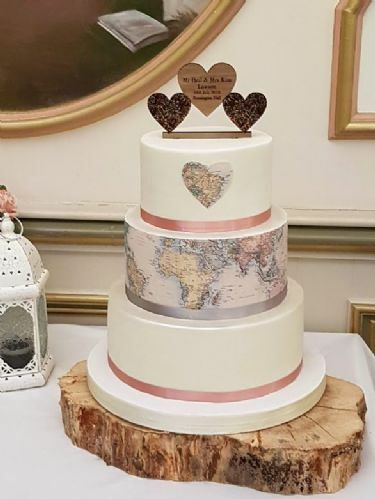 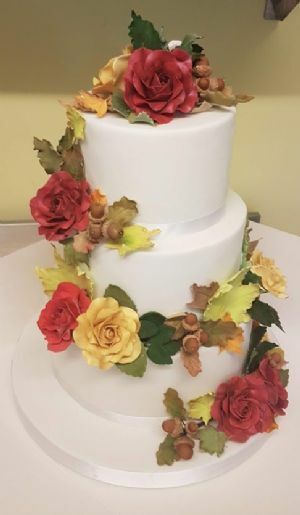 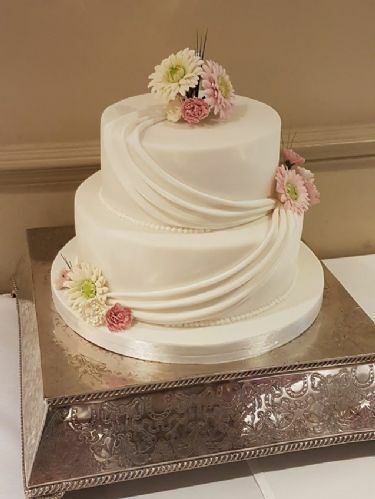 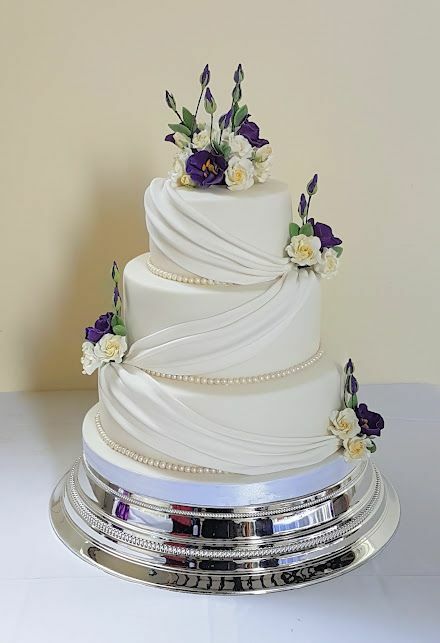 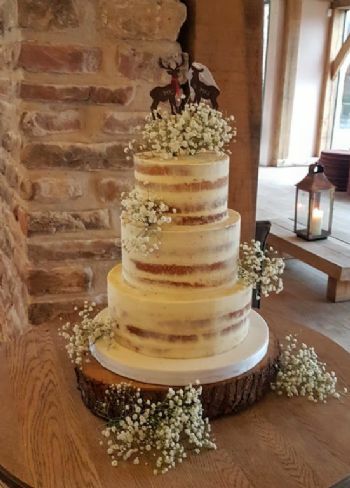 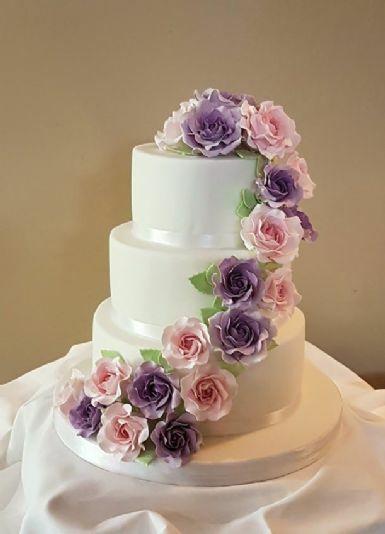 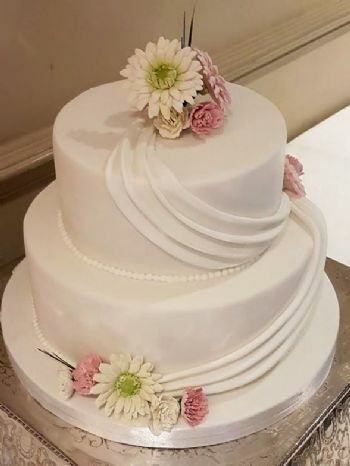 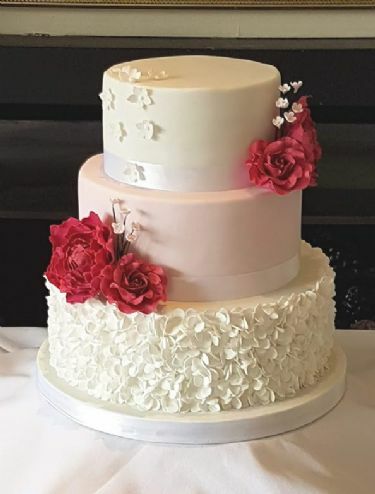 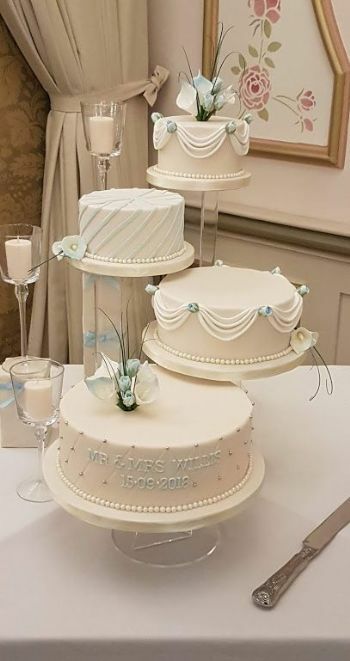 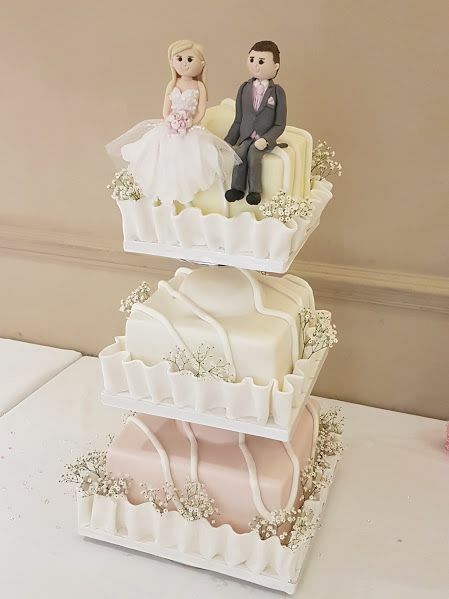 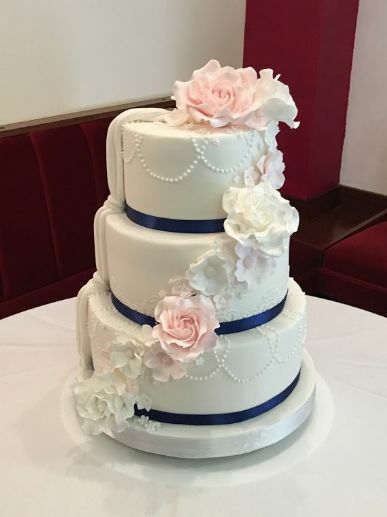 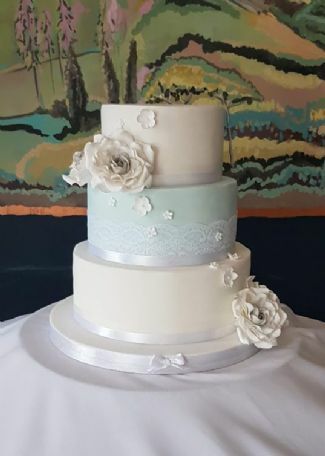 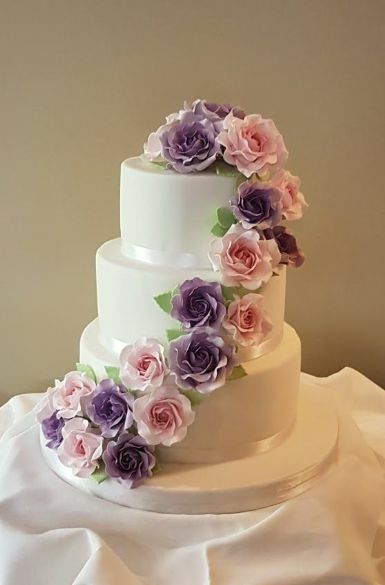 This gorgeous 3 tier had 3 different cake flavours. 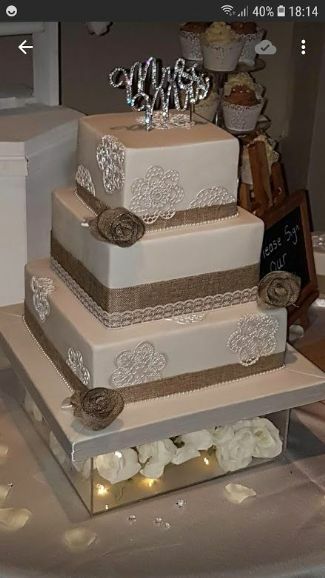 Finished with hessian ribbon and a large handmade sugarcraft bouquet. 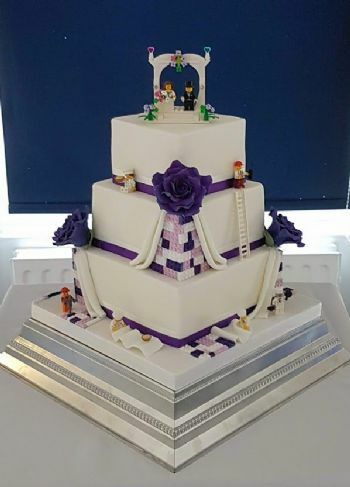 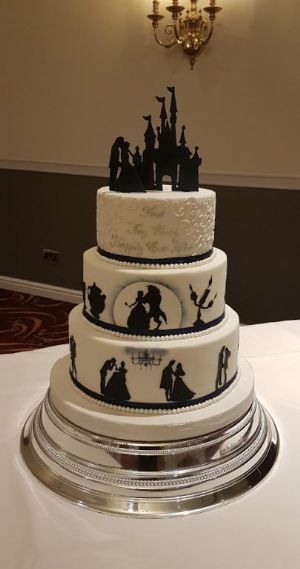 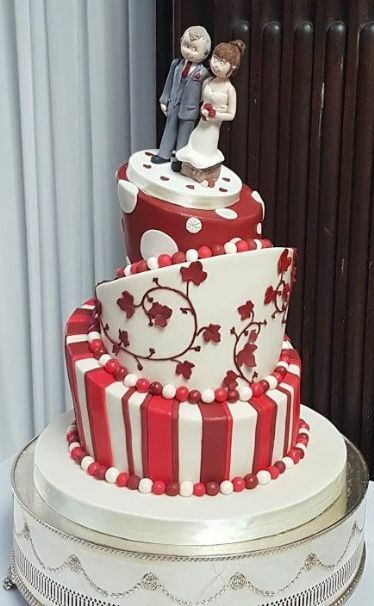 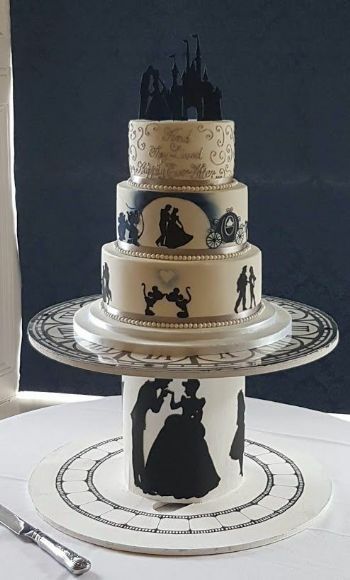 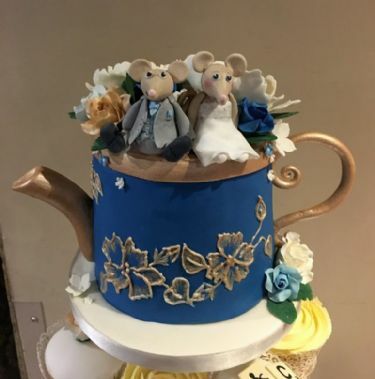 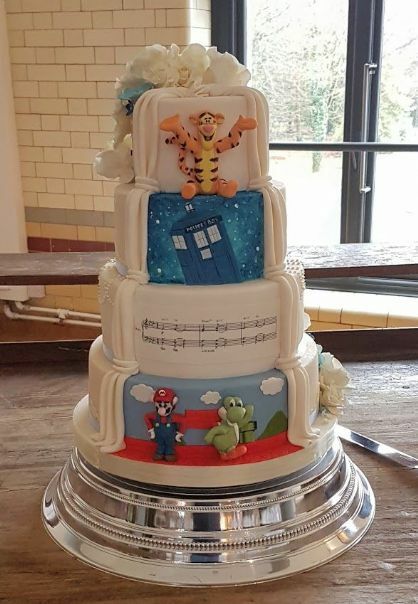 This Disney themed Wedding Cake had lots of different Disney couples around the bottom tier and Lion King theme around the middle.. 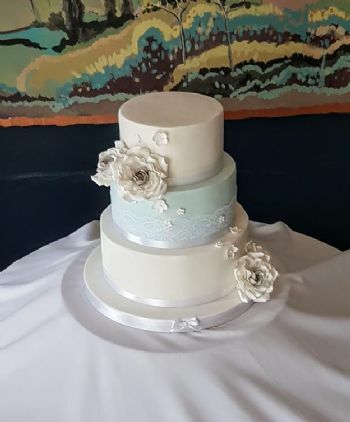 Finished with a handmade silhouette topper. 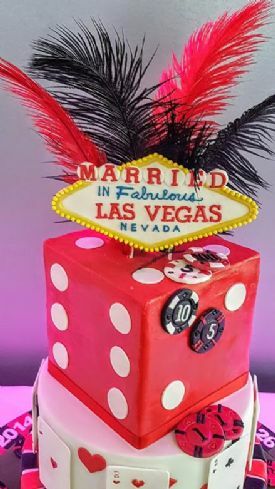 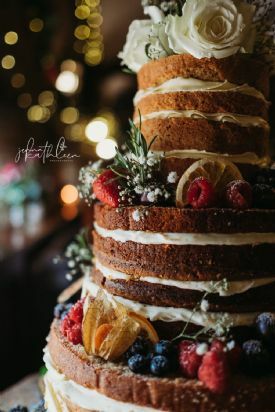 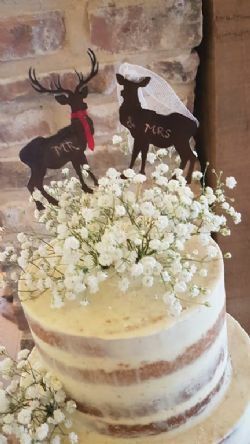 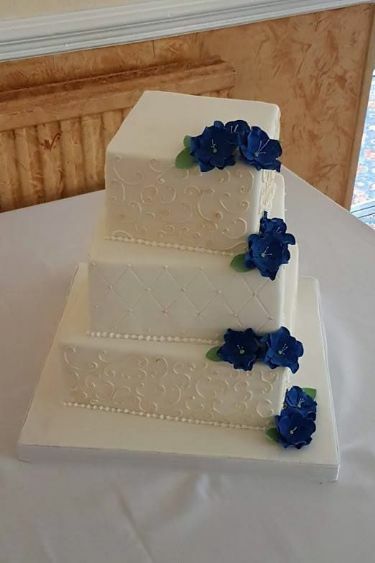 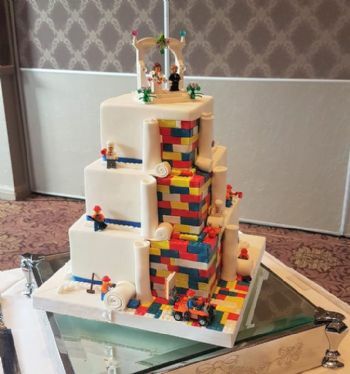 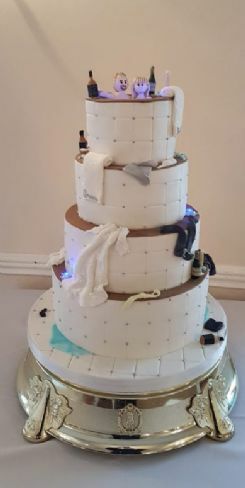 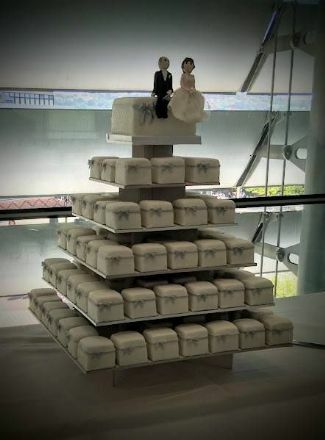 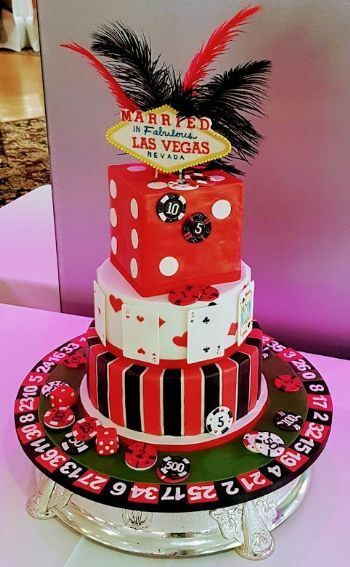 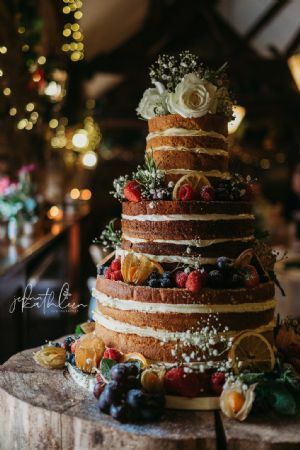 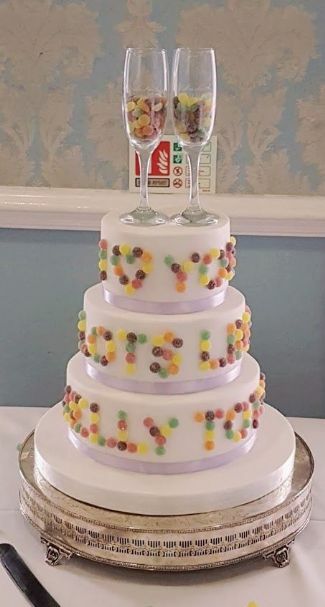 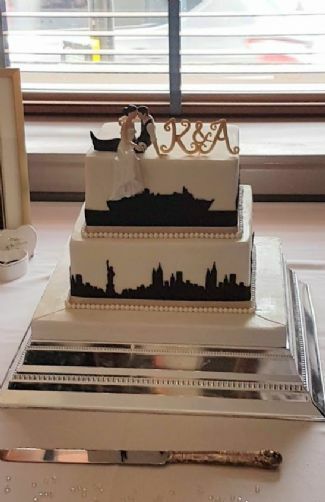 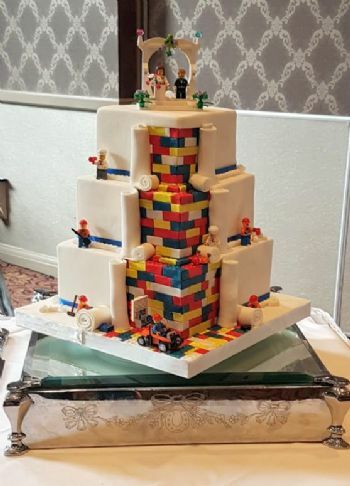 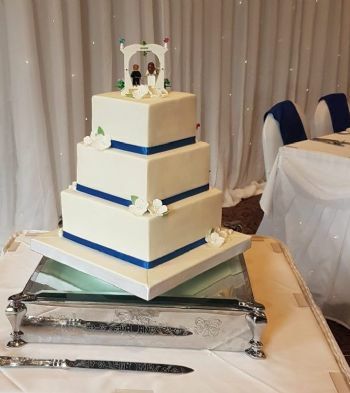 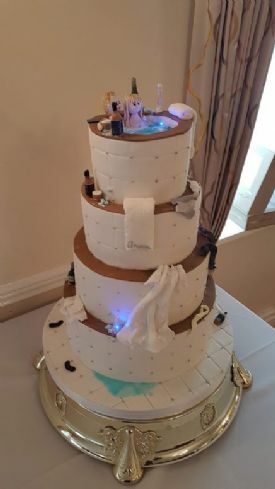 A 3 tier Double-take Wedding Cake. 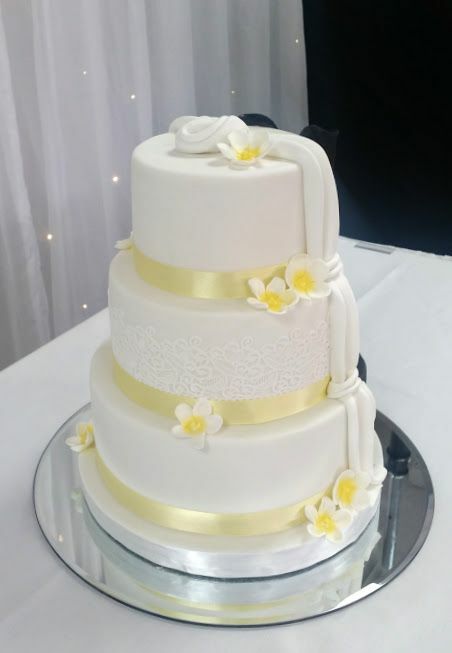 One side pretty lace detail with lemon flowers. 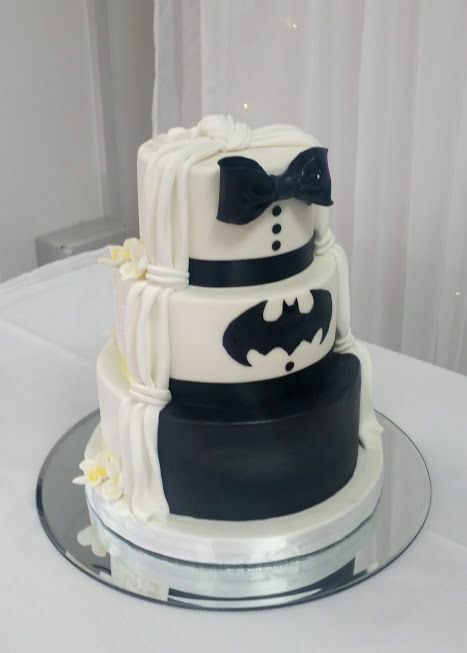 The other side a Batman theme. 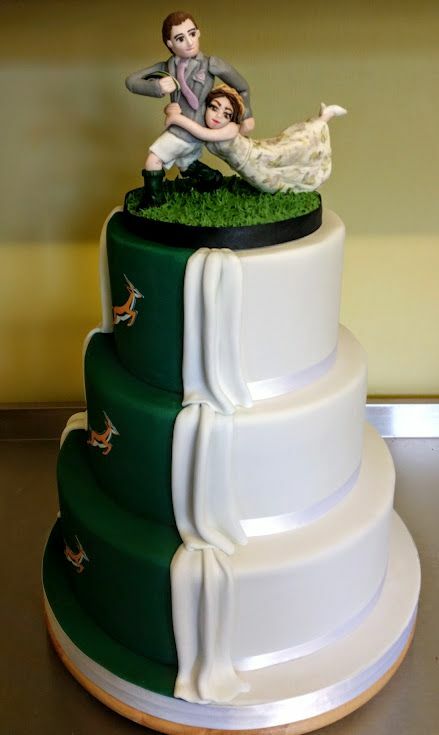 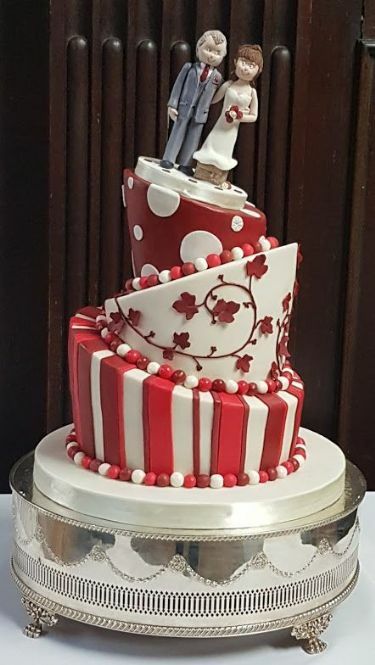 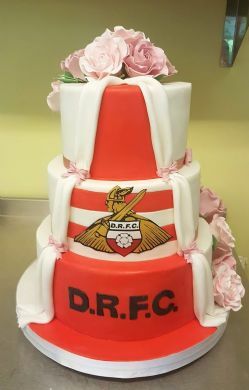 3 Tier Rugby themed Wedding cake. 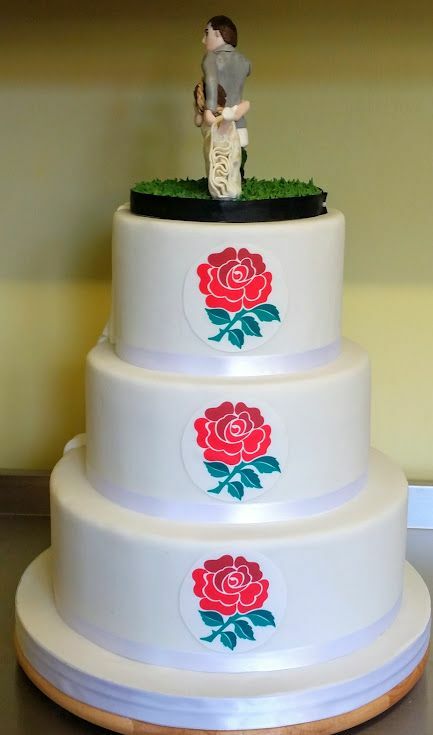 One side had the England Rose and the other the South African Springboks. 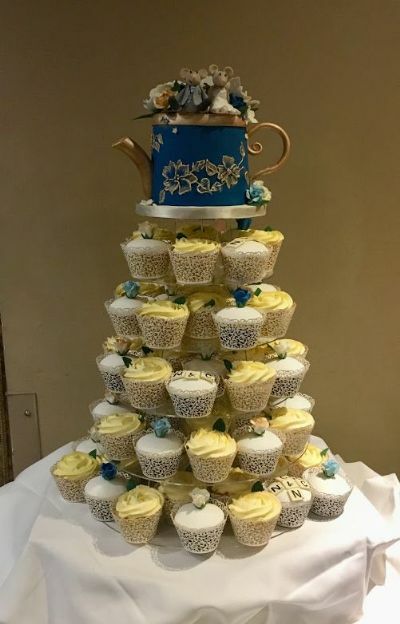 A Vintage themed Cupcake Tower with a Teapot top cake and a mix of cupcakes. 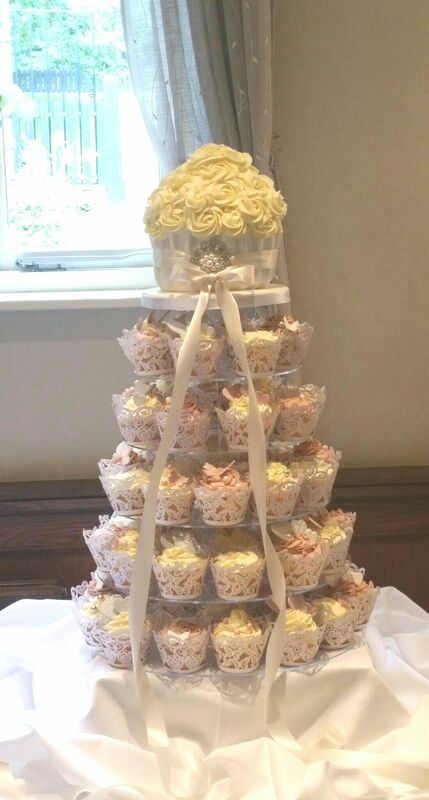 We stock a great range of wrappers and can provide Stand Hire. 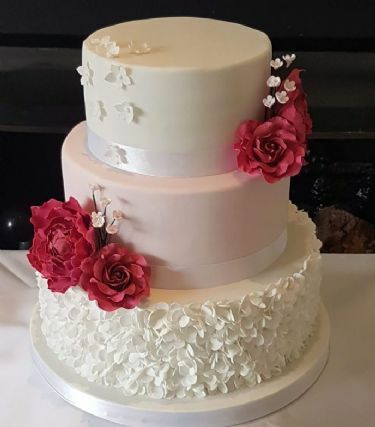 This one had a Super Hero side and white roses, lace and pearls. 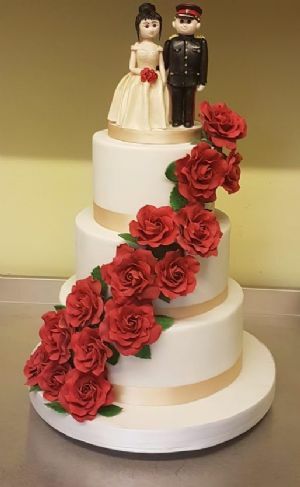 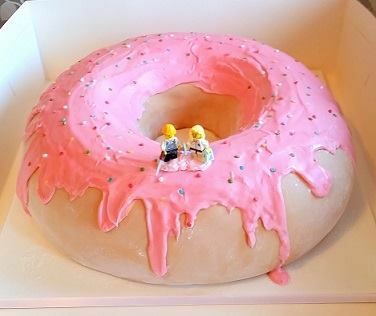 This was on a turn table so the whole cake can be rotated. 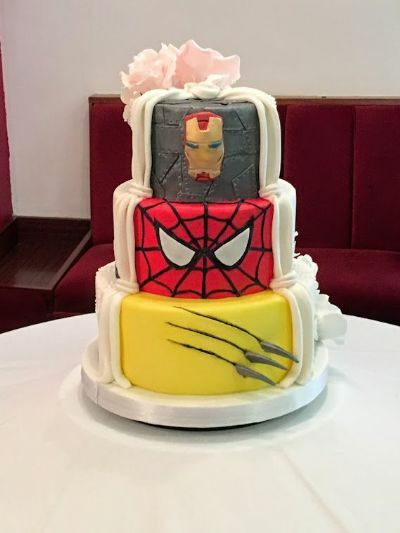 These can be any combination you like. 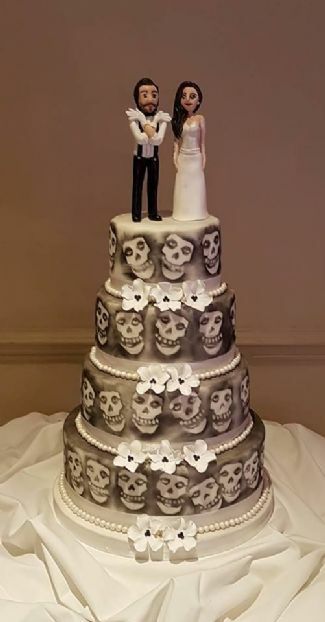 This double sided cake had a Walking dead theme on one side and a white side with handmade calla lilies and piping details. 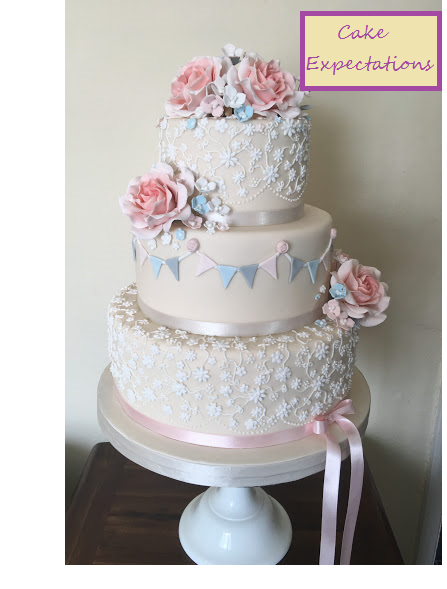 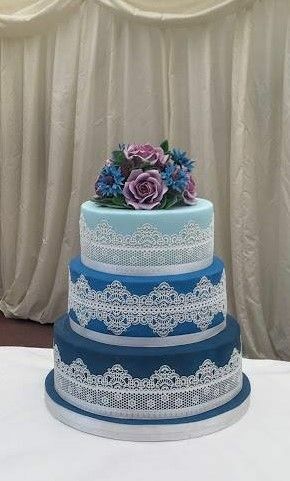 A 3 tier Vintage style cake with handmade flowers, bunting and lace details. 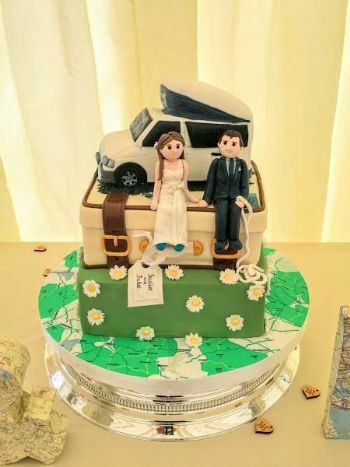 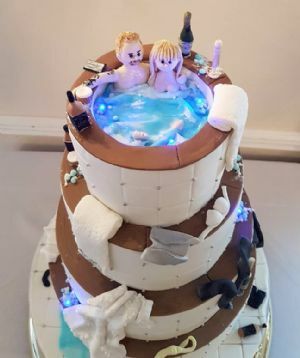 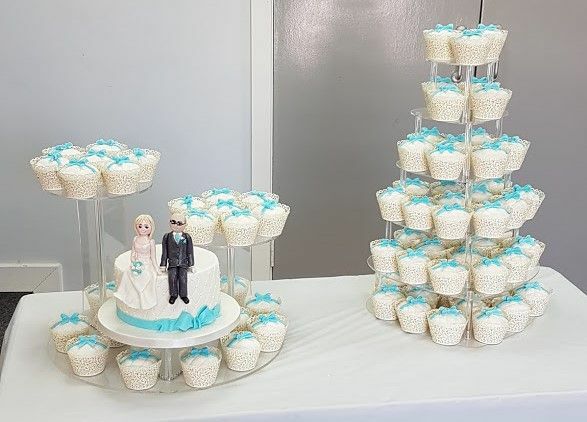 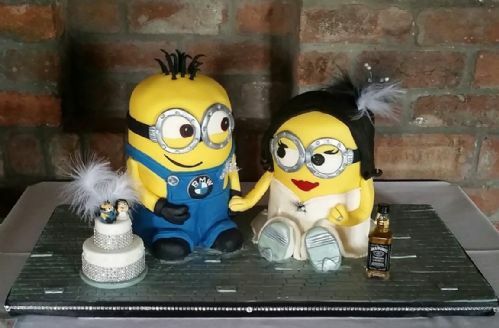 TV's 'Dont tell the Bride' and 'Marrying Mum and Dad' cakes. 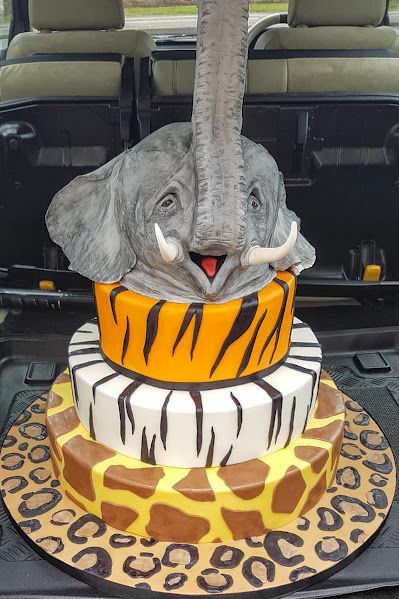 This chocolate firing elephant was safely delivered for the filming of 'Marrying Mum and Dad' at the Yorkshire Wildlife Park. 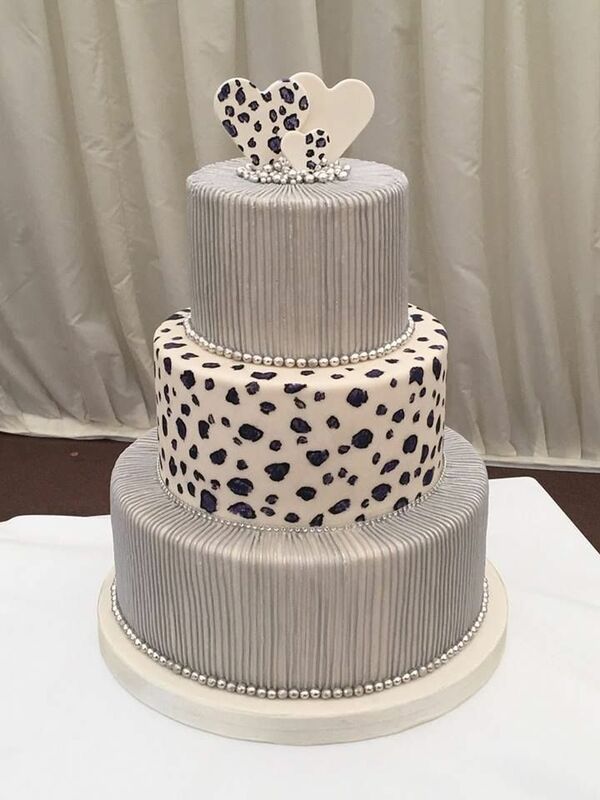 This 3 tier Wedding cake had a hand painted cadbury purple leopard print design with contrasting silver stripes, finished with a handmade topper. 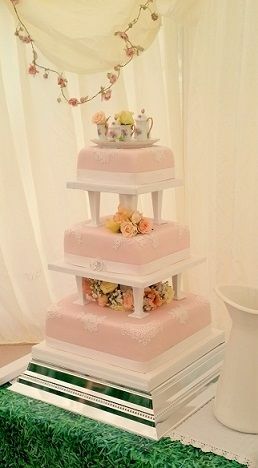 Pretty 3 tier with piping detail and a large bow. 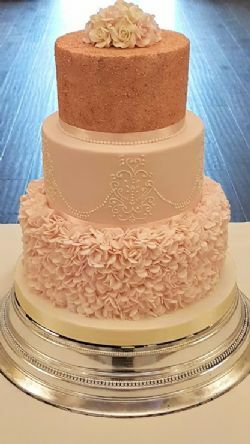 Gatsby style 3 tier Wedding cake with ostrich feathers.